There are very few things better than getting together with wonderful people and creating wonderful food. One of my work colleagues, Tim, is an IT manager by day and pizza chef extraordinaire by night! 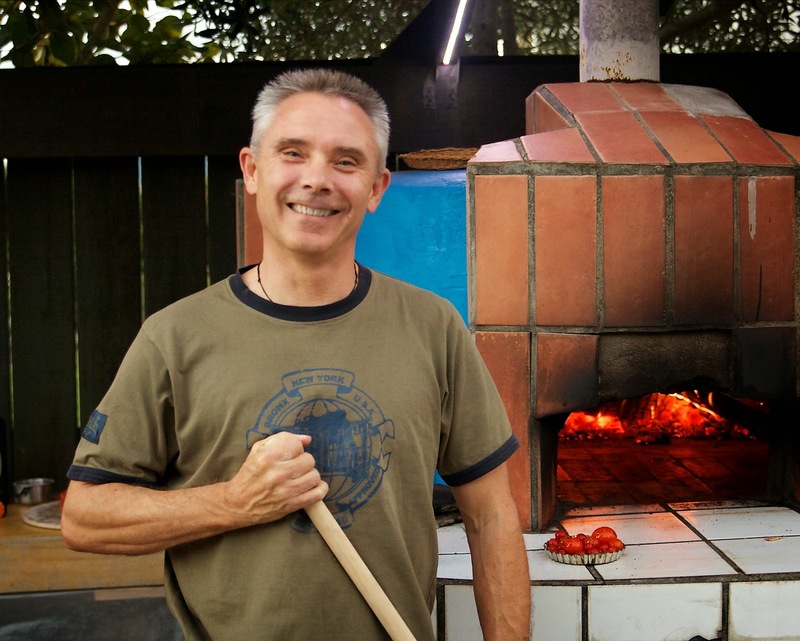 He has a wood fire pizza oven in his front yard and graciously invited a few of us over to his lovely home for a wood fire pizza making crash course. He didn't even mind me following him around like the paparazzi with my camera and even provided me with an SD card when I realized that I had forgotten to bring one along (D-oh)! Before I get into the pizza making extravaganza, can I just quickly draw your attention to the little baking dish full of tomatoes next to him? Yep, that one! 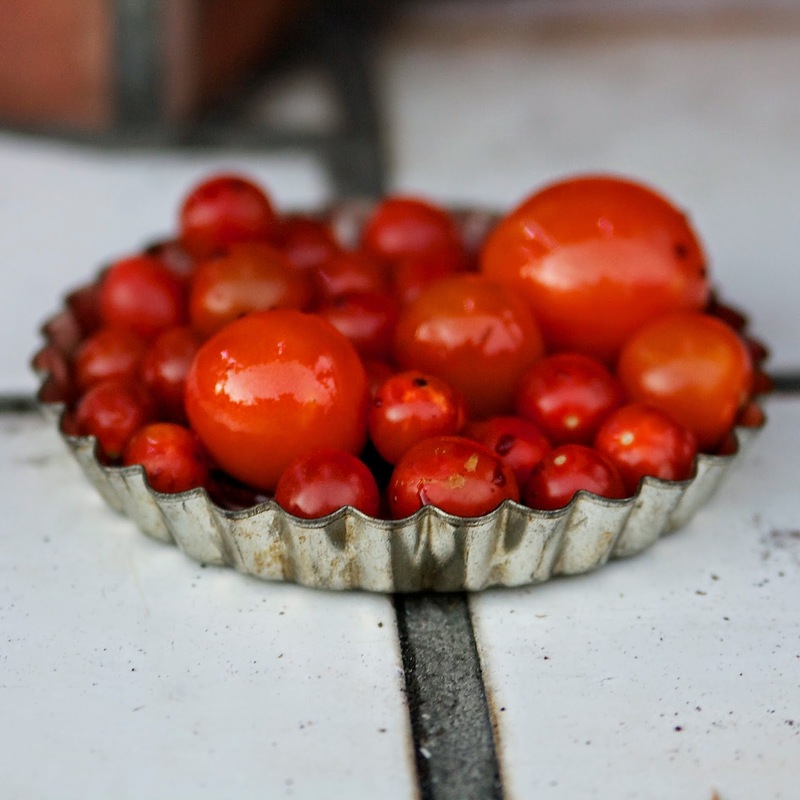 Tim's lovely wife, Tracy, picked some beautiful vine ripe cherry tomatoes from their garden, drizzled some extra virgin olive oil and balsamic vinegar and tossed it all together and cooked it in the pizza oven for just a few minutes. I can honestly say that I haven't known tomatoes to be more delicious! Now moving on to one of the most important part of pizza making - the dough. 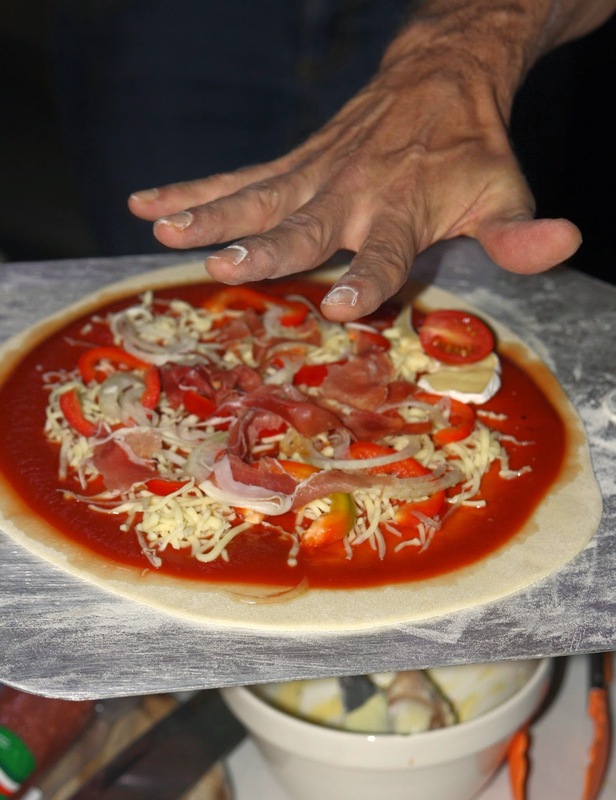 We cooked thin crust pizzas and here is Tim's recipe for the perfect pizza dough. 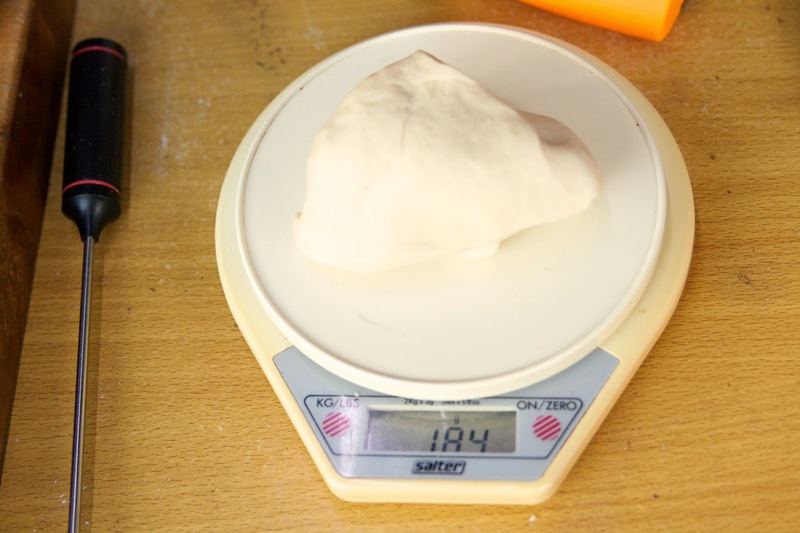 The flour and water measurements should be very accurate to achieve the correct dough consistency. 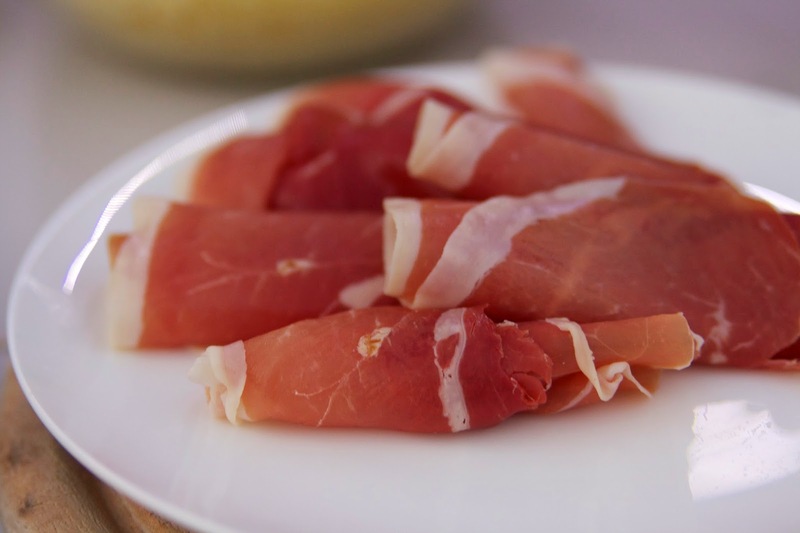 Mix all the ingredients in a bowl until combined into a dough ball. 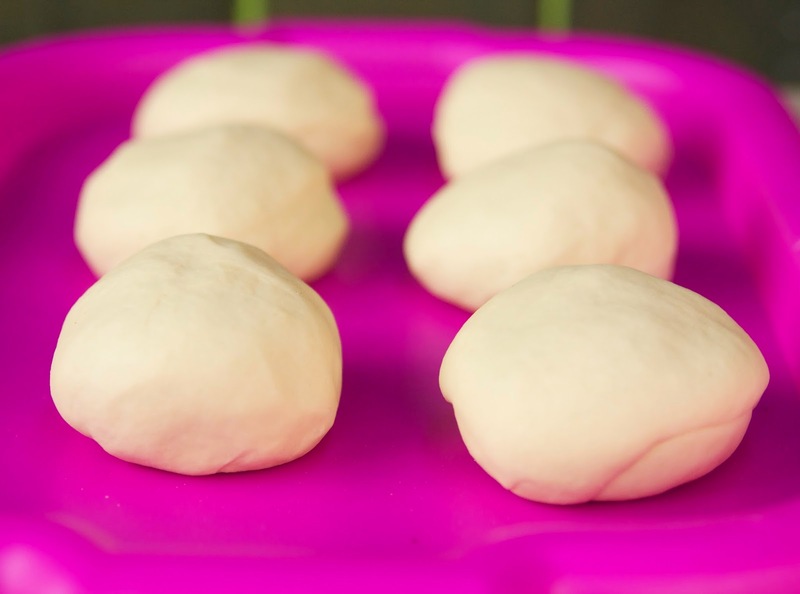 Knead the dough in a folding/rolling action on a floured surface for at least 10 minutes (if very sticky you can add more flour in small quantities) as you knead – a smooth plasticity should be achieved in about 5 minutes. 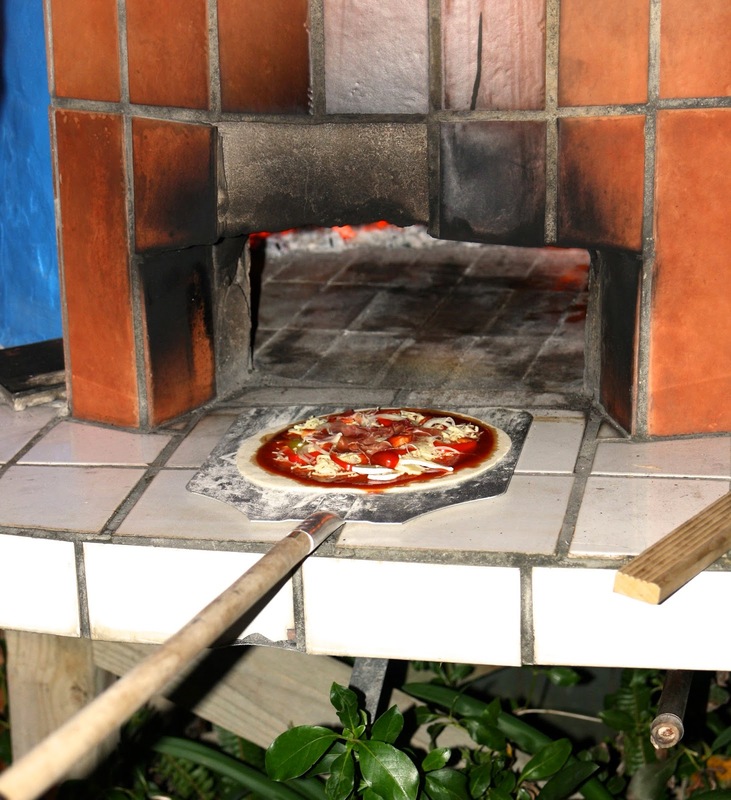 The dough requires about 2 hrs to prove (about the time to get your wood burning oven up to temp). There won’t be much growth. 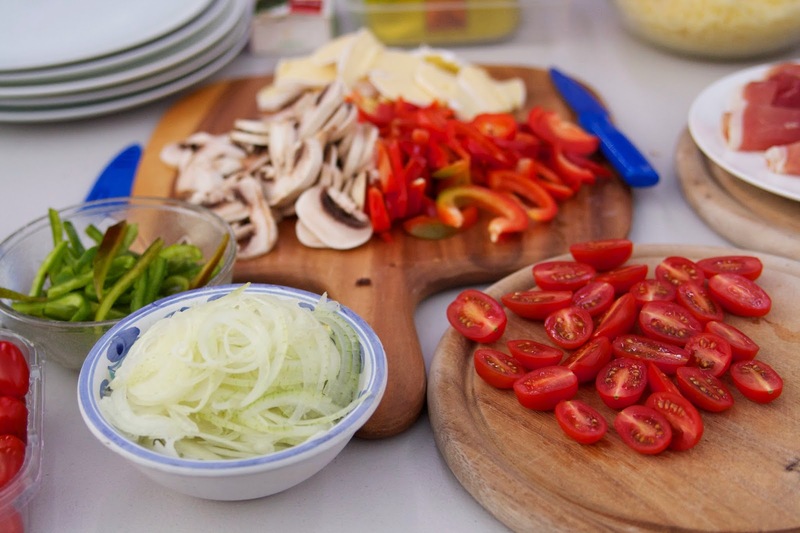 Once all this hard work was done, we set about prepping our ingredients for toppings. You can be as creative as you like here. We had bell peppers, onions, cherry tomatoes, basil, shredded mozzarella, prosciutto, anchovies and brie and we each made our own pizza with our toppings of choice. And now we roll! 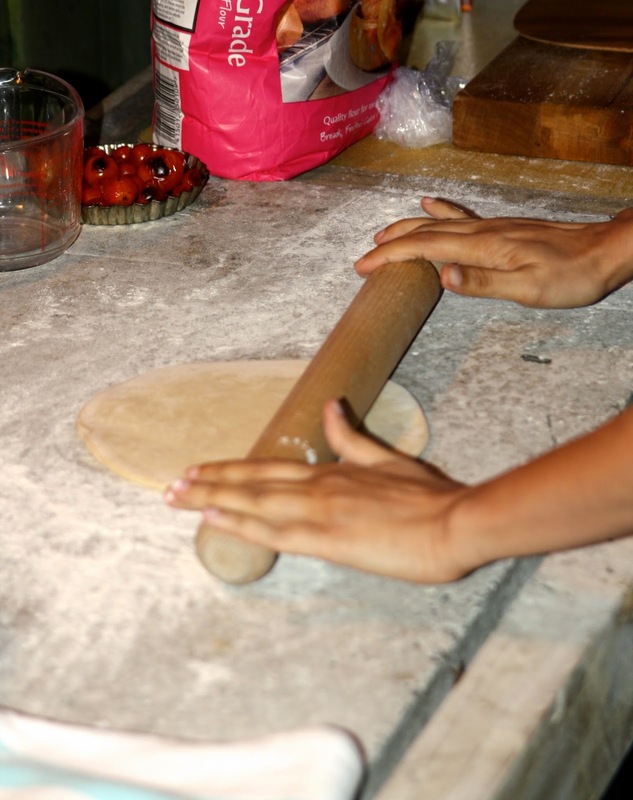 Dust the surface with some flour and start rolling the pizza dough. Keep turning them and flipping them over every now and again to not let it stick to the surface and roll it as thin and you can. Once rolled, transfer on to a pizza peel and add the toppings. You might need to press it down a bit if the toppings are sticking out as they can fall out while transferring them into the oven and turning them. With thin crust pizzas, you learn very quickly not to over do the toppings. One of the best combinations I had that night was a base of tomato sauce and mozzarella cheese with torn basil leaves, cherry tomatoes and just a few anchovies. It was delicious! And into the oven it goes! The tomato sauce recipe is surprisingly simple but worked so well with the pizza - a can of tomato puree diluted with a bit of water (thin it down to your preference) with a bit of salt and sugar and you're done. Drop in a line if you try making this and let me know how it turns out.